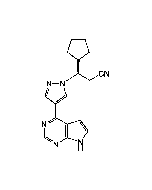 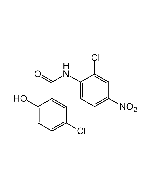 Multi-kinase inhibitor with potent antiproliferative anti-migratory activities. 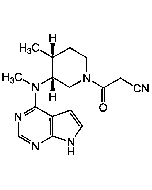 Potent STAT3/5 inhibitor in vitro and in vivo. 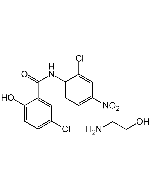 Combined inhibitor of key kinases phosphorylating STAT3 and STAT5 proteins such as JAK, SRC, ABL families of kinases, and class III/V receptor tyrosine kinases (RTK), including FLT3, c-KIT, CSF1-R, PDGFRs and VEGFRs, in nanomolar range.